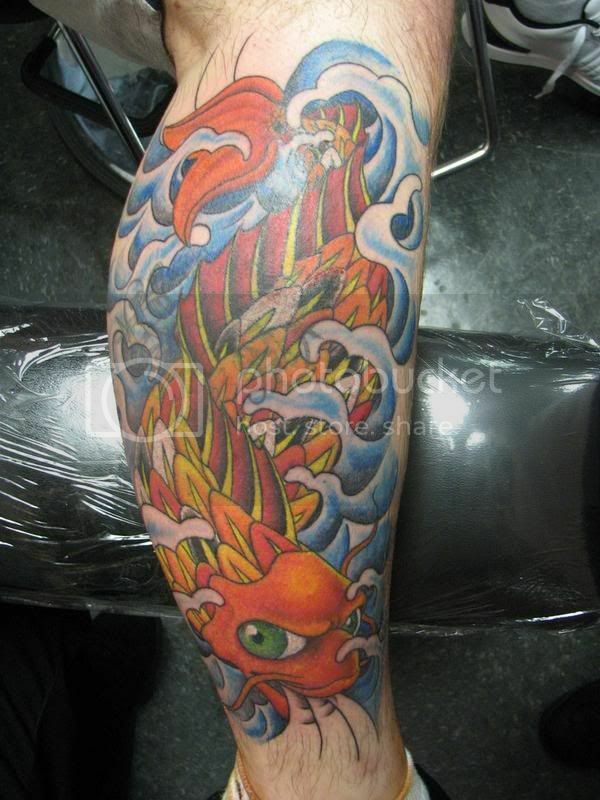 KOI TATTOO - Probably surprising to many westerners is the large of amount of ancient myth that surrounds these beautiful fish in the Orient and their elevated status there. 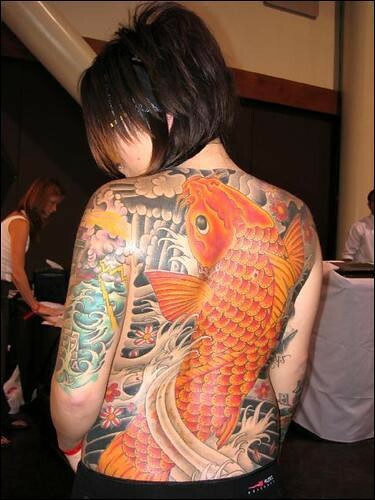 Generally known here as the brightly colored fish that are common in public ponds and fountains, carp (koi is Japanese for carp) can be found in colors that include white, yellow, gold, a deep orange, and some are even calico-colored. Particularly beautiful specimens have been known to fetch prices in excess of half-a-million dollars from private collectors who specialize in their breeding and showing.